American Hotel & Lodging Association Educational Institute AHLEI. RHTI becomes the Global Academic Partner (GAP) with AHLEI, America’s leading hospitality education provider and awarding body. In collaboration, RHTI provides training and certification on diverse areas to industry professionals to validate their expertise through an internationally accredited certification. For continuation of professional development, RHTi organizes Diploma (in Professional Cookery and in Front Office and Accommodation Supervision) and Certificates programs (in Professional Cookery and in Front Office and Accommodation Operations) with IoH endorsement that are designed to be the equivalent of level 3 and 4 within the European qualifications framework. Hence, a student qualifying for those programs at RHTi obtains a European qualification of NVQ level 3 and 4 of UK. Initially, RHTi seeks from Institute of Hospitality, UK for endorsement as a first step in supporting its development into a significant education and training provider. Later, RHTi will provide Institute of Hospitality for full accreditation of its programs. RHTi is the ace approved centre of prestigious City & Guilds to offer the Diploma program in Professional Cookery Level 2. RHTi is the only centre in Bangladesh of City & Guilds to offer Level 2 cookery program. Also, RHTi is going to launch both Level 1 Professional Cookery and Level 3 Pattisiere programs soon. Within a very short span of time, RHTi now becomes Registered Training Organization (RTO) of Bangladesh Technical Educational Board (BTEB) and thus qualifies as an approved hospitality training provider by international bodies like ILO, ADB, IDB, etc. Further, RHTi is already enlisted to be an approved training provider through SEIP (Skill for Employment Investment Program) project funded by Asian Development Bank through the Ministry of Finance, Bangladesh. It is worth mentioning here that huge high school dropouts (about 55% after twelve grade) are there who are seeking employment or like to add themselves to the labour force of the country, but unfortunately could not do so as they lack skills to transfer in jobs. RHTi aims at converting these dropouts to hospitality workers ready to place in upcoming hotel industries locally as well as globally. RHTi is also providing training through the B-SEP (Bangladesh Skills of Employment and Productivity) program. The Bangladesh Skills for Employment and Productivity (B-SEP) Project is an initiative of the Government of Bangladesh (GoB) funded by the Government of Canada and executed by the International Labour Organization (ILO) with support from the GoB. The project aims to accelerate the current efforts being undertaken by other organizations, donors and government to make skills in Bangladesh nationally recognized, accessible to all, higher quality and directly linked to jobs. Moreover, RHTi is the local access point (LAP) of North Chiang Mai International College under the North Chiang Mai University where our students can transfer their full credit towards their Bachelor program in Hospitality Management (from 2017 Post-graduate program will be offered) with two lucrative paid internship in Singapore and Australia as well as guaranteed global job placement after successful completion. 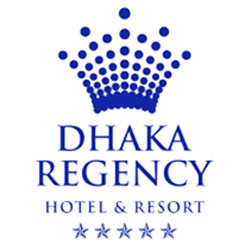 Further, RHTi is the practical training provider for the Bachelor students of Tourism and Hospitality department of the country’s most prestigious University of Dhaka for their future career needs. RHTi also offers the Certification service to many employees in the hospitality sector who are involved in the industry for some time and experienced, but they do not have formal training and certificates. RHTi organizes for them certification services (both local and international) through short training and assessment through industry experts which enable them to progress further in their career. It helps fulfil the industry requirement and ways to improve service delivery.